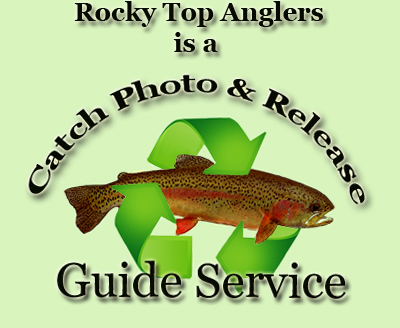 Rocky Top Anglers is a professional fly fishing outfitter located near Knoxville, Tennessee. We specialize in guided fly fishing drift boat float trips and wade fishing excursions to the best destinations in the southeast. We offer our guided fly fishing trips year round covering these famous tailwaters - Clinch River - Holston River - Cumberland River - Caney Fork River and more. Our guided Tennessee fly fishing adventures offer an exciting, yet relaxing way to catch trout and other game species. Tennessee is home to many blue ribbon trout fisheries and our guides take great pride in showing off the great fly fishing Tennessee has to offer. Our trips are perfect for everyone, whether your a brand new angler wanting to learn the art of fly fishing, or an experienced fly chucker looking for that fish of a lifetime, we've got you covered. 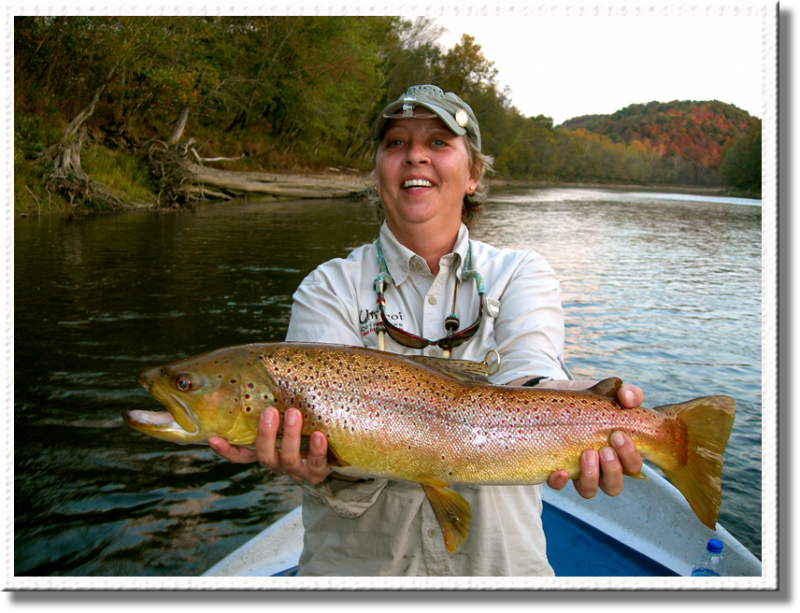 Our east Tennessee Fly Fishing Guide Service has specialized in guided tailwater float trips on the Clinch River, Holston River, Caney Fork River and the Cumberland River. These famous tailwater rivers feature cold water that is released from high mountain dams. It creates prime trout habitat throughout the year. It's perfect water to enjoy fly fishing from the comfort of a drift boat. Drift boat fly fishing is truly an experience like no other. Our Mckenzie style drift boats provide a comfortable and stealthy platform to navigate the trophy tailwaters of Tennessee and the rest of the southeast. We also enjoy visiting the nearby Appalachian Mountains and the famed Great Smoky Mountains National Park in search of wild trout. Casting flies while wading is one of life's great pleasure. These trips are often full of beautiful wild rainbow trout, brown trout and the southern Appalachian brook trout. Higher elevation freestone streams are best from Spring - October. Our rivers are all located near a variety of family style activities and our trips can fit right into a family vacation to east Tennessee. We feature angling destinations within a short drive of Knoxville TN, Nashville TN, Chattanooga TN, and many other southeastern locales. We offer first class guided fly fishing excursions to some of the best destinations in Tennessee and the surrounding region. Our trips are custom tailored to fit your needs and expectations. Our Tennessee Fly Fishing guides are well seasoned veteran guides and work well with beginners as well as experienced fly anglers. They're never pushy, grouchy, or late. Our Tennessee fly fishing guides pride themselves on being profesional and knowing our waters inside and out. We've logged many hours on the stream to insure you have a great trip. Rocky Top Anglers offers a variety of fly fishing adventures. Designed to fit your schedule and logistics. Year round availability. 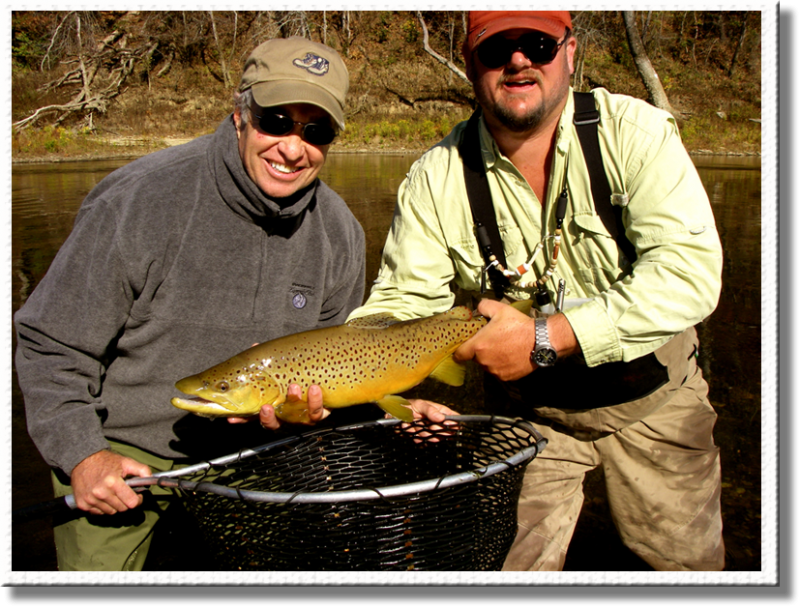 TN Fly Fishing Float Trips, Available in full and half days trips. Our guided fly fishing float trips are hosted on the best rivers in the southeast and are our most popular trips. Fly Fishing Wade Trips. Available in full and half day trips. Get up close and personal with our local waters as you wade fish with our guides. Take a few minutes to look around our site. Please feel free to contact us with any questions and when your ready to book your fishing adventure.